Colliers International's Marina & Leisure Property Advisors build value-add partnerships with our clients. We provide unique insight, strategic solutions and timely advice throughout the ownership cycle to enable our clients to anticipate opportunities and make informed strategic decisions at the right time. Whether executing acquisition, disposition, market repositioning or recapitalization, our brokerage professionals deliver unmatched market execution to align and improve our clients’ real estate with their overall business performance and objectives. Andrew Cantor is a founding partner and Managing Director for the Leisure Property Advisors, which specializes in the brokerage of marinas and other leisure focused properties throughout the United States and Caribbean. Andrew works closely with Matt Putnam, Dan Grovatt and Kate Meyer on the execution of the team’s marina and leisure property assignments. Andrew brings over 25 years of real estate transaction and advisory experience to Colliers, including over 15 years specializing in marina and golf assets. In addition to his expertise in property sales, Andrew is recognized as an expert in marina and golf course finance. In 2004, Mr. Cantor started Textron Financial’s marina lending program, which he grew into the largest marina lender in the nation. As a member of Textron’s Golf Finance Division, he underwrote over $600M in acquisition, refinance and construction loans on golf courses and resorts throughout North America. Prior to Textron, he was Director of Acquisitions for KSL Fairways where he played a key role on a team that purchased eight golf facilities and the Doral Resort. 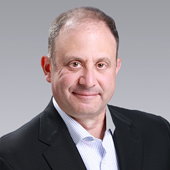 Mr. Cantor started his career at Arthur Andersen in the Real Estate Services Group. 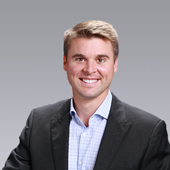 Matt Putnam is a founding partner and Managing Director of the Leisure Property Advisors. He specializes in the sale of marina, golf and leisure properties throughout the United States and Canada. Prior to becoming a broker, he served as the financial analyst and marketing coordinator for the National Golf and Resort Properties Group for two years. Mr. Putnam has held an active real estate license since 2006 and been in the Leisure Properties industry since 2009. In addition to investment sales, Matt and his team focus on building advisory relationships with clients and routinely provide market research, financial analysis and management best practices at every point through the property ownership life cycle. Matt has served a wide range of clientele from single property owner-users to $100B pension funds and everything in between. 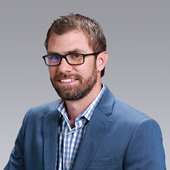 Dan joined Colliers International Tampa Bay Florida in 2018 as a founding partner and Director of the Leisure Property Advisors. Dan specializes in marina and leisure property investment sales across the United States and regularly assists clients with the disposition and acquisition of leisure driven real estate assets. As part of the Leisure Property Advisors strategic asset advisory program, Mr. Grovatt also routinely provides clients with strategic asset analyses and investment planning throughout their investment cycle.